As the process to elect a new Director General (DG) for the World Health Organization(WHO) heads to its conclusion during the first half of 2017, much has been written about what challenges the new DG will face and what issues he/she should prioritize in the future work of the Organization. Extensive interviews with the candidates, including the three final nominees, have provided points for discussion and comparison. In the face of much criticism of how WHO responded to the Ebola crisis, calls for reform for WHO continue to be made. 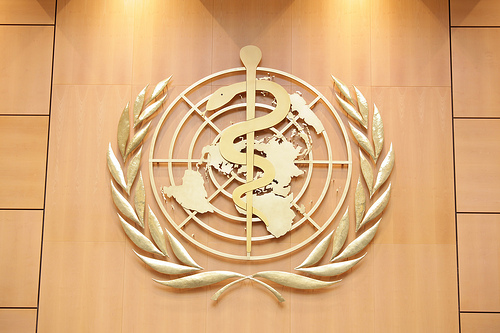 Various groups of global health scholars and practitioners appealed, for example, for the incoming DG to give priority to address patient-centred R&D agreements, develop a global treaty on the human right to health, be better prepared for epidemics or give priority to mental health challenges. While most discourse has so far focused on broad leadership qualities and technical challenges, perhaps some insight into the more personal qualities of the future DG may add value to the dialogue. After serving under three WHO DGs from 1999-2012, I believe that in addition to technical, political, diplomatic and managerial skills, the next DG should have personal qualities of courage, independence, decisiveness, integrity and vision. Gro Harlem Brundtland showed courage, independence and decisiveness as WHO DG (1998-2003) and epitomizes the call to ‘to speak without scruple and to act without fear’. In a defining moment during the SARS outbreak in 2003, she pressed China for more information on the evolving crisis but when they did not do so, she issued the travel advisory anyway. Similarly, she had the courage to take on the Member States as she undertook a major reform of WHO’s organizational structure and sought governance changes in the hope of shaping a more effective and efficient organization. A year after she became the DG, she launched the Tobacco-Free Initiative, making tobacco control a top priority for the WHO under her term. Despite strong opposition from the tobacco industry, she paved the way for the negotiations for the Framework Convention on Tobacco Control, the world’s first evidence-based global health treaty that came into forcein 2005. Importantly, she also had the vision to place WHO on a firm knowledge foundation by establishing the evidence-informed policy cluster which resulted, for example, in the milestone convening of a Ministerial Summit on Health Research in 2004 and laid the foundations for a revolutionary way to collect health information in the Global Burden of Disease (GBD) project. This cluster, unfortunately, has been abolished. Jong-wook (JW) Lee, WHO DG from 2003-2006, had similar qualities of courage and independence and was a leader who had the vision to implement the 3 by 5 initiative to improve the access to antiretroviral therapy (ART) which resulted in major progress we see today in dealing with the HIV/AIDS epidemic. He was also a DG willing take courageous action in the face of powerful interests. For example, he understood the moral high ground the WHO held in championing transparency and accountability in health research, and, to this end, supported the establishment of the International Clinical Trials Registry Platform (ICTRP), showing great courage in the face of strong opposition from the pharmaceutical industry. He also showed integrity in acknowledging the weaknesses of WHO guidelines and acted accordingly to significantly improve the process into one which is more effective, efficient and strongly evidence-based today. Finally, he led the negotiations for the much-needed revisions of the three-decade old International Health Regulations from 2003 to 2005. Margaret Chan had the vision to elevate the impact of climate change on health by declaring the theme of World Health Day 2008 as “protect health from climate change.” On the same year, she established a WHO research agenda to strengthen the evidence base for a new climate treaty that was being negotiated at the 15th Conference of Parties of the United Nations Framework Convention on Climate Change in Copenhagen. As the climate treaty negotiations dragged on, she convened the first WHO Global Conference on Health and Climate in 2014, where she declared that climate change is “the defining health issue of the 21st century.” Her effort at elevating health in the climate change agenda bore fruit when the 2015 Paris Agreement urged governments to promote and protect the people and the planet’s “right to health.” As DG, she also showed courage and integrity in vigorously defending the Organization against unfounded charges of collusion with the pharmaceutical industry in the development of influenza vaccines. To ensure equitable access to these vaccines in the future, she initiated the establishment of the Pandemic Influenza Preparedness (PIP) Framework. The PIP Framework provides a system for virus sharing and benefit sharing among governments, the pharmaceutical industry and the academia through Standard Material Transfer Agreements. With her staunch belief that “what gets measured gets done,” she solidified the role of evidence-based policymaking in the WHO with formal collaboration with the Institute for Health Metrics and Evaluation (IHME) on country capacity building, data sharing, improving methods for global health estimates, and identifying expert collaborators for the GBD project. Above and beyond achieving the key technical, financial, political and administrative objectives for a stronger WHO, the new DG should be an individual who will commit to the institution more than to him/herself. The next DG needs to have strong institutional memory, which can lead to a decisiveness to recognize and uphold the strengths of the WHO and at the same time creatively use its limitations and the power of the DG’s office to its advantage. In a tribute to the late JW Lee, World Bank President Jim Yong Kim described Lee as someone who can “hear the angels while fighting the wolves. He could run with the wolves: the tough, self-serving ruthless bureaucrats and politicians who often crossed his path. He knew how they thought, often before they knew themselves, and he could run circles around them. But he also heard the angels who never let him forget the pain and suffering of the poor”. Moreover, in a world on edge, and where revived nationalistic passions thrive, the next DG needs to be objective and fair, at all times aware that the WHO is a global institution, which many developing nations look up to for guidance and leadership. Leading it entails less conservatism, less xenophobia, and a skill to balance the interests of 194 member states, which requires courage and integrity, and recognition of what is essential and what is trivial to command leadership in a chaotic environment. The world and global health are facing uncertain times and instability in the coming years and a new leader of WHO imbued with these leadership and personal qualities, who can ‘fight the wolves while hearing the angels’ will serve the organization well and ensure improved health and health equity for all people. Lee Kuan Yew School of Public Policy, National University of Singapore, Singapore. TP was Director of the Department of Research Policy & Cooperation at WHO, Geneva from 1999-2012; GGHA is a Research Associate on Global Health Policy at the Lee Kuan Yew School of Public Policy.